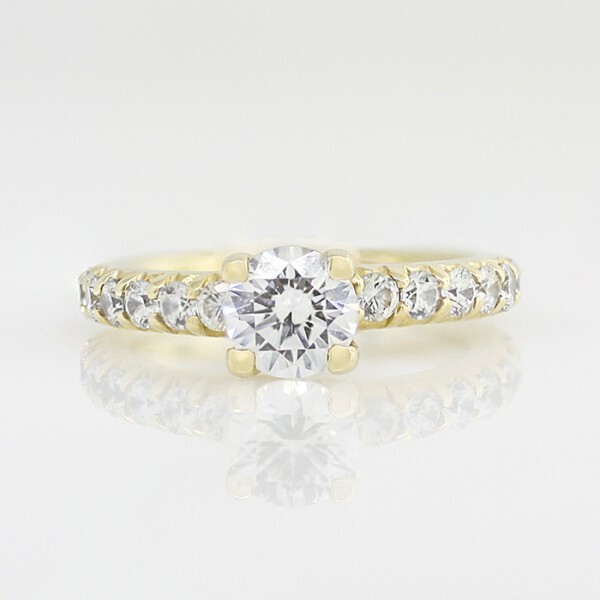 Gwyneth with 1.03 carat Round Brilliant Center - 14k Yellow Gold - Ring Size 5.25-8.25 was added to your cart. The Gwyneth engagement ring is simply gorgeous, featuring a Contemporary Nexus Diamond center stone accented by 22 Round Brilliant cut accents. The high profile setting ensures the center stone catches the light for maximum brilliance and fire, while the slightly rounded band ensures that comfort and style do go hand-in-hand.